A regular thermal cleaning of a diesel particulate filter (DPF) is necessary to keep your vehicle fleet running. Nabertherm offers different sizes of top loading kilns for treatment of diesel particulate filter (DPF). 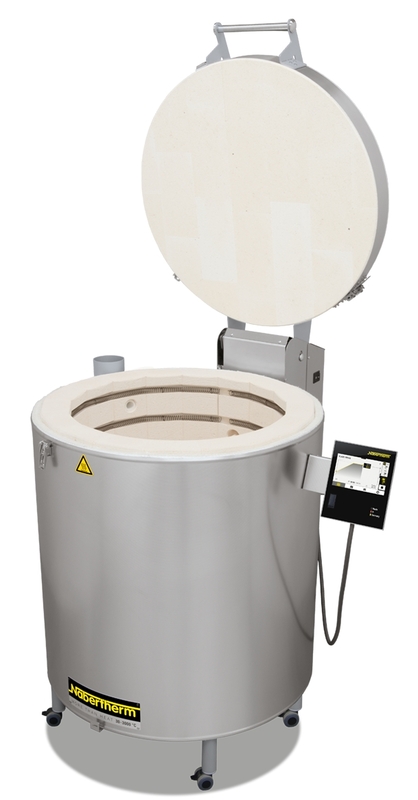 The ventilation system on every kiln is standard as well as the simple and intuitive to use controller. The basic controller allows you to program the typical firing cycle to prepare the diesel particulate filter (DPF) for the further cleaning process. We stock the most common diesel particulate filter (DPF) cleaning kilns like Top16/R, Top45, Top60, Top80, Top100, Top130, Top140, Top160, Top190 for a quick shipment world-wide. All Nabertherm top loading kilns are made in Germany since 1947. Fast spare parts service is for us as important as the option to offer also customized solutions to you, if none of our standard products meets your requirements. Nabertherm offers different types of furnaces for heat treatment of metal, foundry, laboratories; glass and ceramic industry. Further information on Nabertherm diesel particulate filter.